So just in case you peeps might be tired about me and my zazzle related posts, I will just keep the latest images as thumbnails for now lol! I have washed my Tare DC mascot Tee, and ironed the inside out of the shirt (Instructions which came with the teeshirt mentioned not to iron on the image). 12 Responses to Thursday doodles and more stuff arrived! Xmas girl is Xtra cute, but no Xmas pantsu? Naughty list for sitting like that. Gordon will like, but would prefer if she you color her clothes black. LOL, did I say that out loud?? Aaa! Gordon wouldn’t be the only one to like that Fuko… KAWAII!!! christmas girl has wings? fairy? 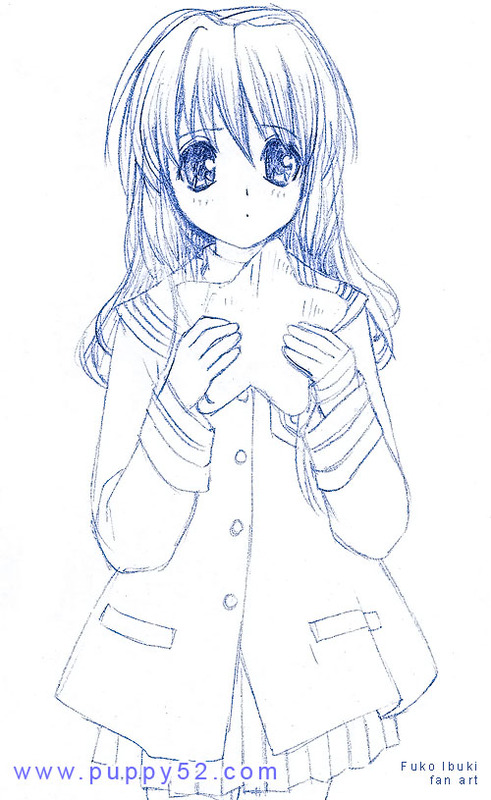 Omg, you draw Fuko so cutely! And the buttons seem to look really nice too. Where are you going to pin them? you forgot to give her the hat !! thats like one of her most important moe accessories. You should draw one with the hat, and put it on display at DC. soulfringe you know, her hat kinda made me felt emotional ^^;;;;; but glad her eyes worked their magic ;)!